ATHLETCS: The region's up-and-coming athletes are jumping for joy with new equipment to help them achieve their goals. 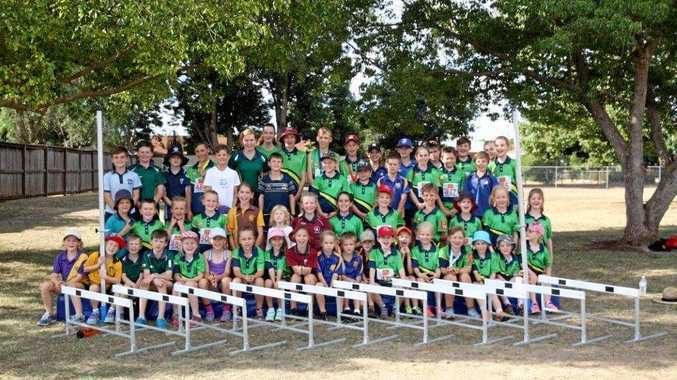 South Burnett Little Athletics Centre has a new three-piece set of scissor high jump mats, high jump stands and collapsible hurdles funded by a grant from Coles given to the centre in 2018. The centre was granted $3804.14 to buy the equipment and the athletes have been waiting patiently for its arrival with the mats made to order. Funds for the grants are raised through the sale of specially marked chiller bags designed by Australian kids at Coles supermarkets. With every bag sold, Coles can help kids stay fit and healthy through their partnership with Little Athletics Australia.